This book preceded Adam Smith by a generation. 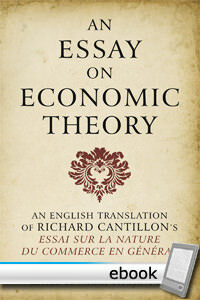 Unlike any previous writer, Cantillon explicated the vital role of the entrepreneur with perception and vigor. Robert F. Hébert writes the foreword. This might be Mises's best-selling book. This release is certainly the most beautiful edition to appear yet.